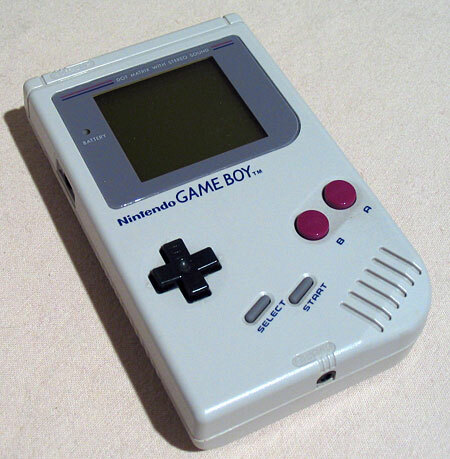 The original Nintendo Game Boy (and yes, “Game Boy” is officially two words), given to me as a gift in 1989. Like the NES, it was another gift I didn’t ask for and didn’t really want all that much – at that point I was just getting over my mid-80’s home console skepticism but I still believed handheld gaming was just pure stupidity. The graphics were poor, battery life was always a problem, and that ugly, pea-green screen – yuck! 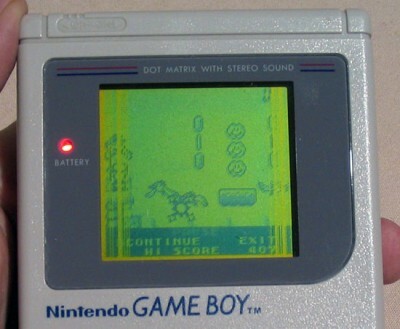 Anyway, I kept my Game Boy and partly through the fact that I rarely ever played it except for the odd game of Tetris, it still looks pretty good, right? Apparently this is a common problem in original Game Boy screens, and I’ve been told it’s really not all that difficult to fix. Something about the back of the LCD screen actually coming unglued through simple age, and all you really need to do is glue it back. Still, I’ve just never bothered, as I eventually got over my anti-handheld-ness and now own both a perfectly good Game Boy Color and a Game Boy Advance.